Laundry is one of my favorite household tasks. (Well, except for folding and putting things away, but that’s another subject for another day!) Maybe because it’s easy to see the progress; there’s instant gratification. The clothes go in dirty and magically come out clean. Except…sometimes they don’t. 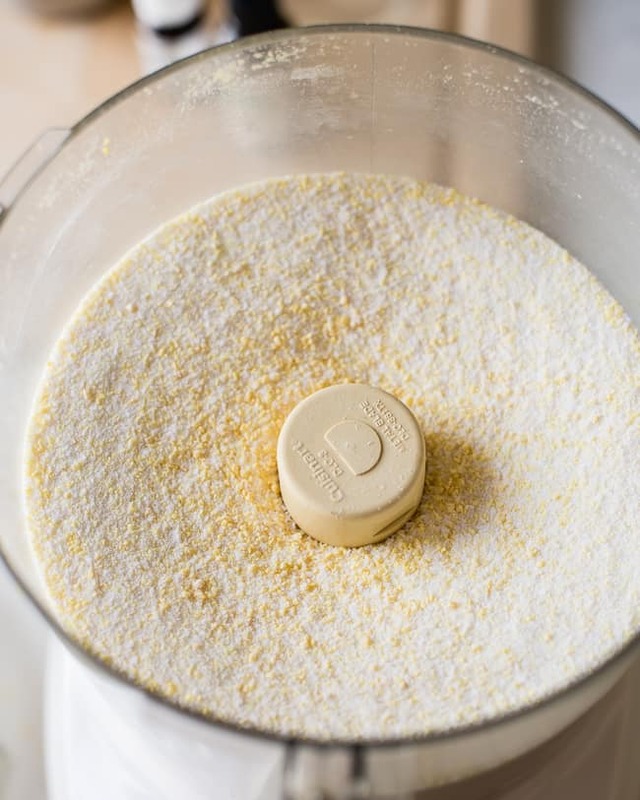 I’ve hesitated to make homemade laundry detergent because, frankly, it’s easier to buy it at the store. But I keep reading that it’s less expensive (and it is a bit cheaper). But the kicker is that it gets clothes cleaner than the stuff you’ll find on store shelves. The key ingredients are soap (I used a combination of fels-naptha and Zotes soap flakes), super washing soda and borax. I added some tea tree and rosemary essential oils, too. 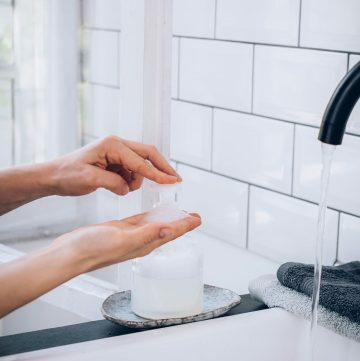 The tea tree has antimicrobial properties, which is nice for laundry, and both the essential oils help cut the strong scent of the soaps. For a completely natural laundry soap, use grated vegetable oil based soap, like Dr. Bronner’s castile bars. 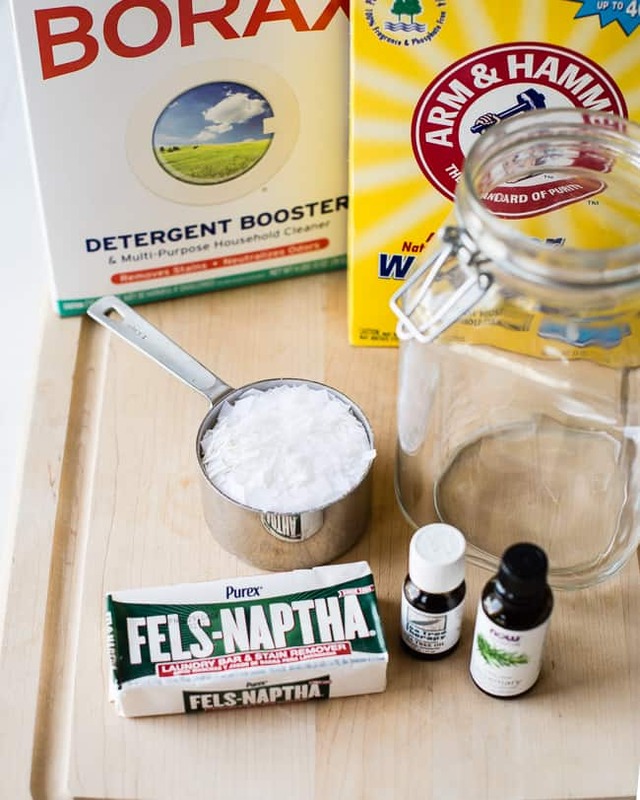 The Fels-Naptha does have some chemicals and dyes, but it’s a hard call because it helps get the laundry super duper clean. The soap has to be grated first. I find it easier to use the grating disk on my food processor and then switch over to the blade and pulse it until it’s powdered. A food processor is really handy for this, but a blender will also work. If you don’t have either of those appliances, I would go the liquid route, for which I’ve included instructions in the notes below. Depending on the hardness and temperature of the water, sometimes the detergent doesn’t dissolve all the way. 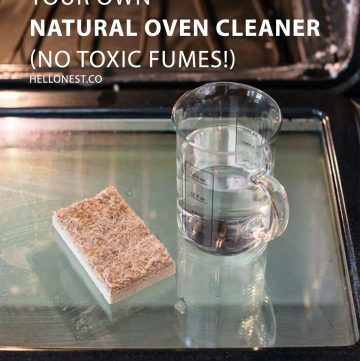 If that becomes a problem for you, just dissolve it in 1 cup warm water before adding it to the washer. (Detailed instructions are in the recipe notes below.) 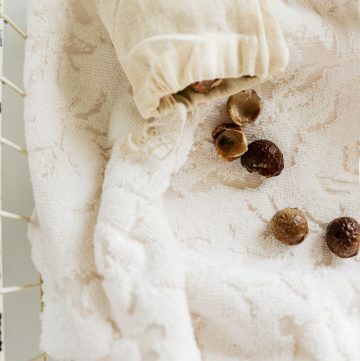 Adding 1 cup of vinegar to the washer will act as a natural softener and help rinse away any soap residue. But such a small amount is needed for a load, you probably shouldn’t have a problem. This detergent can also be used in conjunction with this stain remover spray for extra stain-fighting power. 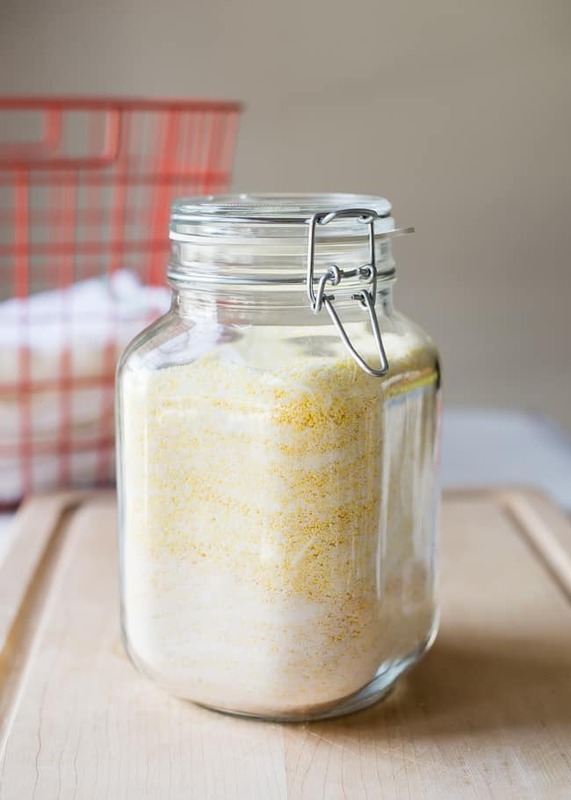 Homemade laundry detergent with big stain-fighting power. Working in batches, if needed, pulse the ingredients in a food processor or blender until combined. There will still be flecks of the Fels-Naptha visible. Place in an airtight jar. Use 1 tablespoon for a regular load. Thanks for The recipie, how well does this work with High Efficiency washers? Hi Monique! I just bought a new top loading HE washer and I use it every day! It works great. Just use 1 Tbsp. for a regular load. Hi I have all natural bars of soap can I use those instead of the bars of soap you listed? 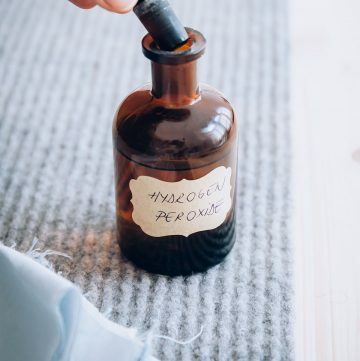 Can you make this into laundry tabs instead of just powder? I haven’t tried that, so I’m not 100% sure what to tell you as far as turning them into tablets. I’m not sure if it would work with this recipe and these ingredients. Where can you find fels-naptha? Thanks!!! I found mine at a grocery store called Winco. I’ve also seen it at Walmart. Check the laundry section, that’s usually where it is. If not, online. I ended up being allergic to borax. My body erupted in purple welts and only steroid cream was able to bring my skin back to normal. Is there a substitute for borax? Bummer! I’m so sorry about that. I’m not sure what to recommend as a substitute for borax. You might try just leaving it out all together. The powder should still work without it. Thanks for the link! I’m off to read it now! 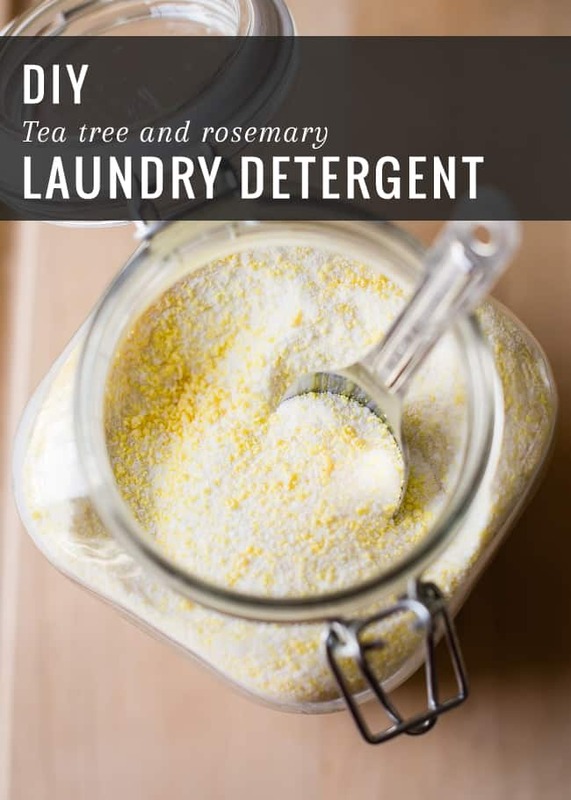 This recipe does a great job cleaning my laundry, but it causes a build up on my wash bin. I have a top loader with a stainless steel bin and the soap leaves a ring of dirt/ scum at the top of the bin. This is after only one use. Did anyone else find this to be a problem? I haven’t tried this recipe for laundry soap. My concern is for my food processor. Has anyone had problems with their food processor after processing the soap ingredients? I love this recipe and want to make it ASAP, but wondered if it can be used on HE appliances? cartierbraceletlove OMG, scrumptious! I made these tonight for a bake sale we’re having at work this coming Friday, in the hopes of freezing them. Um, I might just eat them all. Uh oh…. 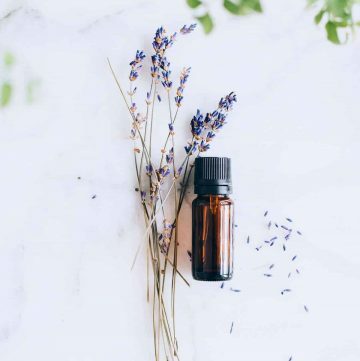 Do you mix the essential oils with the other ingredients or put drops in each load? Thank you! I’ve done both. You can do whatever works best for you. I like nice post, thanks . Very good inspirational article. Thanks so much.